On this day/evening of the 85th Academy Awards over in Hollywood, BallinEurope in turn celebrates excellence in basketball-centric films of 2012. Third of the four Oscar (Robertson) Awards to be given here is for the category of Best Television Documentary. Full confession: BiE’s waffling a bit this year. With ESPN turning out a number of solid documentaries (though the catalogue of “ESPN Films Presents” and “30 for 30: Volume 2” is notably weaker than the first series produced by Bill Simmons & Co.), plus at least another three top-notch works turned out in 2012, BiE just figured more productions were worthy of Oscar (Robertson) virtual statuettes this time out. The aforementioned ESPN basketball (or at least tangentially basketball-related) documentaries released last year included Goose and The Announcement from the ESPN Films Presents line; plus Broke, There’s No Place Like Home, and Benji from within 30 For 30: Volume 2. The “30 for 30” line has traditionally done well in Oscar (Robertson) consideration, taking the top prize in 2010 for the excellent Once Brothers. BiE touched upon Goose and There’s No Place Like Home in an earlier piece today; while both are imminently watchable films (and Goose is in fact quite good), both serve as examples of the general weakness of releases beyond the original “30 for 30” group. There’s No Place Like Home suffered seriously from the pervading overriding “reality TV”-like self-consciousness of the final product, while those qualities which made the original series so great — the obvious historical importance of each subject, the lack of agenda, the subservience of even the most gigantic personalities to the story — have been generally dampened in the 2011 and 2012 ESPN basketball movies. There is, however, one exception: Benji. Speaking purely academically, Benji is a story in the tragic “What Might Have Been” mold that certainly resonates particularly well in a 2010s America engaged in heavy gun-control discourse. At center is the greatest teen basketball player you’ve never heard of (unless you’re from the Chicago metropolitan area or perhaps greater Illinois), namely Benjamin Wilson, who with Simeon Academy dominated Illinois high school basketball in the early 1980s to reach the no. 1 spot among U.S. prospects entering his senior year. Wilson was prevented from playing at the highest levels when he was fatally shot in a senseless incident directly before the first game of the 1984 season. 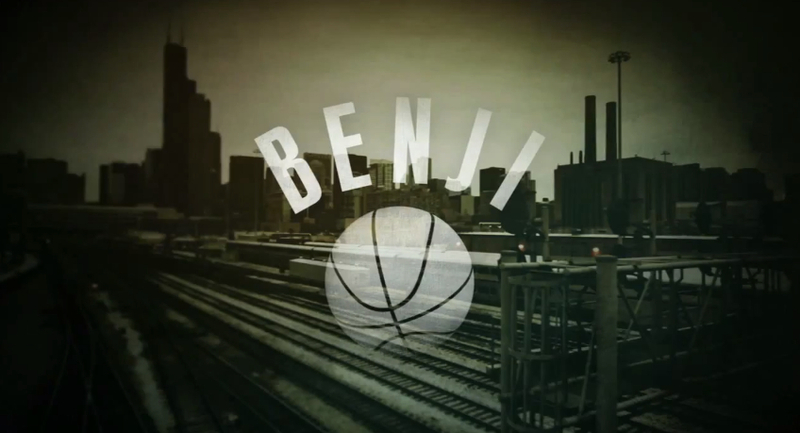 Speaking critically and concisely, Benji is everything that the 2010 “30 for 30” film Without Bias was not: This movie is loaded with game footage and those in the know including Michael Wilbon and Sonny Vaccaro. And when exposition on unfilmed events 35 years in the past takes over the narrative, directors Coodie and Chike employ an arresting animation technique to reproduce the scene. On the minus side, it could easily be argued that Benji descends a bit in the sordid with the exclusive interview given the now-paroled triggerman in Wilson’s shooting. Matters of rehabilitation and societal reintegration aside, these sequences make for something of a stopper in an otherwise top-notch effort. Benji’s main competition for the Oscar (Robertson) in this category is stiff indeed, however. With year 2012 marking the 20th anniversary of the literally game-changing Barcelona Olympics, summertime among the hoops mad was spent recalling that key year in basketball history. And none did it bigger in the televisual arena that NBA Films with its simply entitled The Dream Team. Let’s get right to the point here: Yes, The Dream Team cuts some corners. With so much about this Greatest Sports Team Ever Assembled already a part of basketball lore, certain concepts which might be otherwise requisite to the story can be glossed over. The makers of The Dream Team were certainly able to more comfortably produce a movie with the knowledge that most of the audience could fill in the blanks. Yet somehow, the NBA Films folks deliver on a seemingly impossible promise: To reveal heretofore undiscovered tidbits, tales and anecdotes about That Team. And in fact such revelations consistently surprise in the Dream Team. Michael Jordan and Scottie Pippen’s comments on Isaiah Thomas and Toni Kukoc are hardly surprising after 20 years of rumormongering, but apparently confession is good for the movies. Fair enough, BiE supposes but there’s so much more here, from the hilarious footage capturing John Stockton’s anonymity to the frankly stunning explanation for the Dream Team’s sole loss of any form (in an exhibition match versus an NCAA-stocked “select team” led by Bobby Hurley and Chris Webber) from then-assistant coach Mike Krzyzewski. The long-promised intrasquad game footage is as good as promised, made so incredibly rich with commentary provided by Magic Johnson and the others. And then there’s Charles Barkley. Despite the paeans to Jordan at the peak of his career, the study of Chuck Daly’s leadership and Magic’s effusive personality always threatening to swamp the proceedings, somehow The Dream Team always comes back to Sir Charles. And why not? The truth is that Barkley’s presence improves anything — including this movie — by at least 83.7%. Even in the summer of the ultimate Team USA, Barkley passed the toothpaste test, i.e. he could be filmed reading the ingredients from a tube of toothpaste and it would be compelling viewing. Nevertheless the ESPN Films crew somehow manages to give the league’s biggest personality fair screentime in this documentary while still acknowledging fairly every other superstar from that summer of 2012: That’s a balancing act worth of Daly himself, and more evidence that this production team succeeded in a task well more difficult than it looked. Poor Coodie and Chike never stood a chance. The winner of the Oscar (Robertson) in the category of Best Television Documentary is The Dream Team.